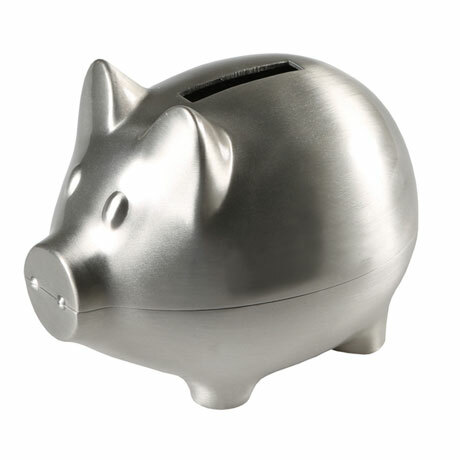 Such a classic silhouette - a small piggy bank in an anti-tarnish brushed nickel finish, this will be cherished for years to come. 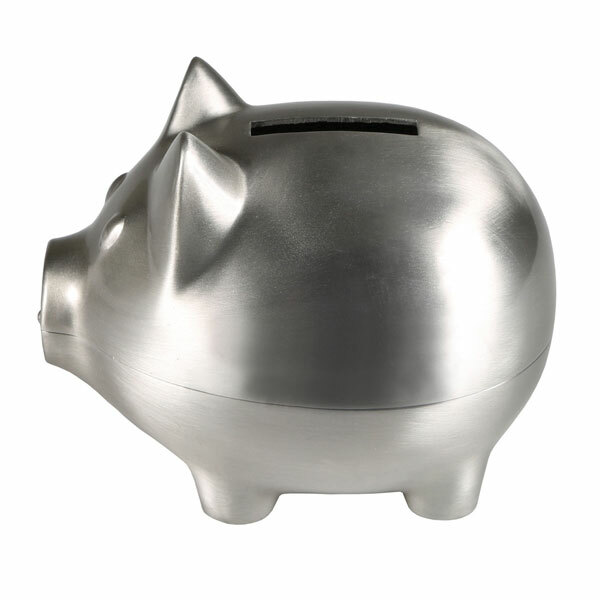 You will love details such as the snout, ears and eyes. Perfect gift for a new baby, birthday, ring bearer/flower girl, or just because! The pig bank measures 3" high x 2.75" wide x 3.75" long. White gift box.